whenever people ask me what i miss about living in the states, one of the first things that comes up – after dr pepper, obviously – is mexican food. i love the tacos and burritos and enchiladas and chips and salsa and grilled corn and all of it. 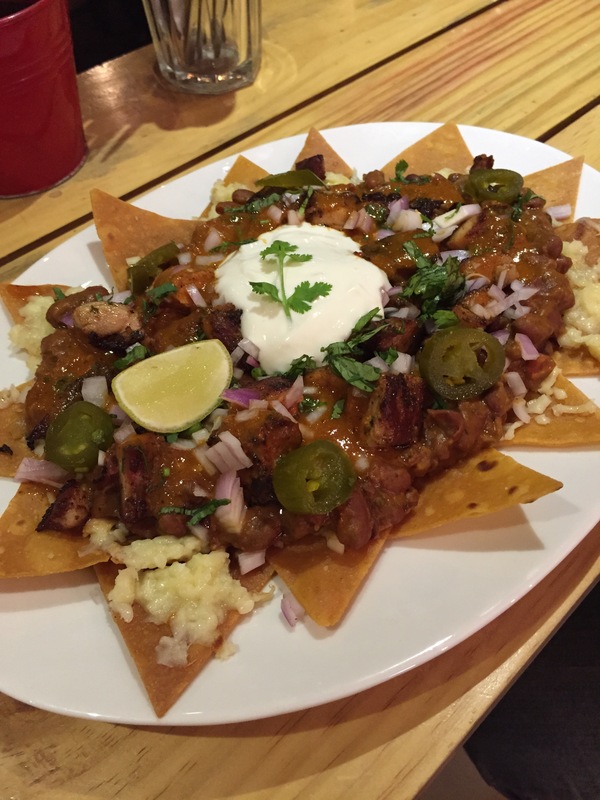 i eat “nachos” a lot when i am out with friends, but while they are good they are never quite right. and after a few disappointing “burritos”, i decided it wasn’t worth the hassle and just decided that on returns to the states i would eat my body weight in mexican food to make up for all the months i go without. walking into chinita. bangalore, india. july 2015.
but then last week happened. now that avni has shifted back to bangalore, she and i are slowly exploring some of the newer restaurants that have popped up in the city. when we were deciding where to eat last week, she mentioned that there was a restaurant in indiranagar that had a 4.9 cumulative rating on zomato. this is pretty unheard of, and there is only one other restaurant in the city with those numbers. cozy interior. bangalore, india. july 2015.
when i looked up the restaurant she had mentioned, chinita, i was floored to discover that it was a mexican restaurant. and although i was skeptical at first, the ratings and the reviews drew me in. so off we set on wednesday to see what all the hype was about. since the restaurant doesn’t take bookings after 7.45 and we had heard there were often lines out the door, we raced there from work and managed only about a 15-20 minute wait for a table. in the meantime the host provided us with a menu – with no prompting – so we were able to go ahead and decide on our choices for starters and mains. sebastian, the host, also offered to serve us drinks while we were waiting, and since he recommended the horchata we decided to share a glass. it’s a rice-based drink with cinnamon, and while it was a very interesting drink, i don’t think i would necessarily have it again. but it’s definitely something everyone should try at least once. since we split it, the half portion was perfect, and the staff were nice enough to serve it to us in separate glasses. 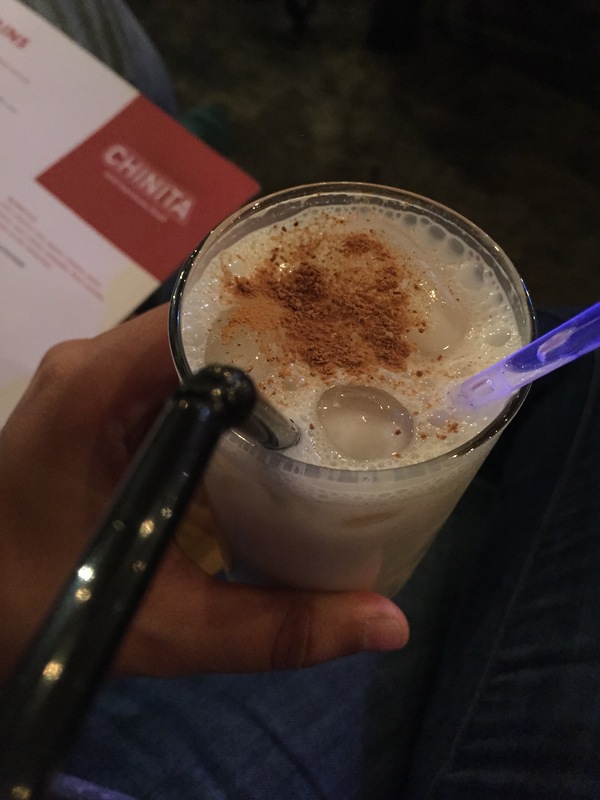 trying the horchata at chinita. bangalore, india. july 2015.
by the time we were seated, avni and i already knew what we wanted. we very quickly ordered our chicken nachos and grilled corn for starters and my braised pork burrito bowl for my main. avni had settled on the grilled chicken tostadas as her main, but at the suggestion of sebastian, she went with one tostada and one taco. this is not normally the procedure, but he said he sometimes does that for people if it is their first visit to the restaurant, which really struck a chord with us. now, we have already established that the service was great, as was the setting. but what about the all-important part of the visit, the food? well, i’ll tell you: the food was fantastic. the nachos were so flavourful, and the homemade chips were amazing. there was a great mixture of the filling, so no one thing overpowered the rest. and there was something extra in the chicken that made it really tasty. grilled chicken nachos at chinita. bangalore, india. july 2015.
the grilled corn was maybe the best i’ve had. it had the perfect amount of chilli powder on it, and the cheese took it up another notch. but my favourite part of the corn? it comes on a stick, so my hands were not completely messy and covered in corn and cheese and chilly powder and lime by the time i finished. that’s a little detail that i’ve not seen before, and it was perfect. 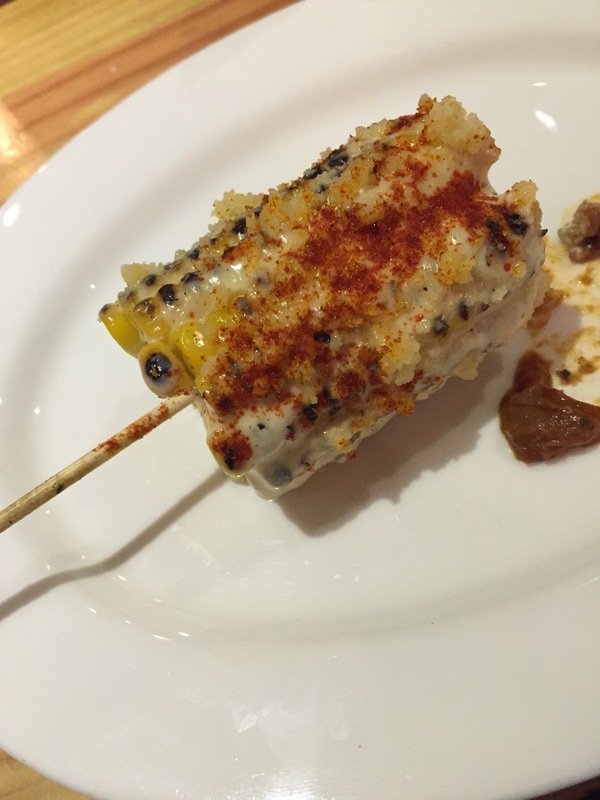 delicious grilled corn. bangalore, india. july 2015.
and the mains. oh goodness. my burrito bowl was delicious, and avni thoroughly enjoyed her taco and tostada. we both ate much more than we normally do, and we were happy to pack the leftovers and carry them home with us. my bowl kept really well overnight and was great for lunch the following day. and they wrote which dish was inside on each container. again with the small details. 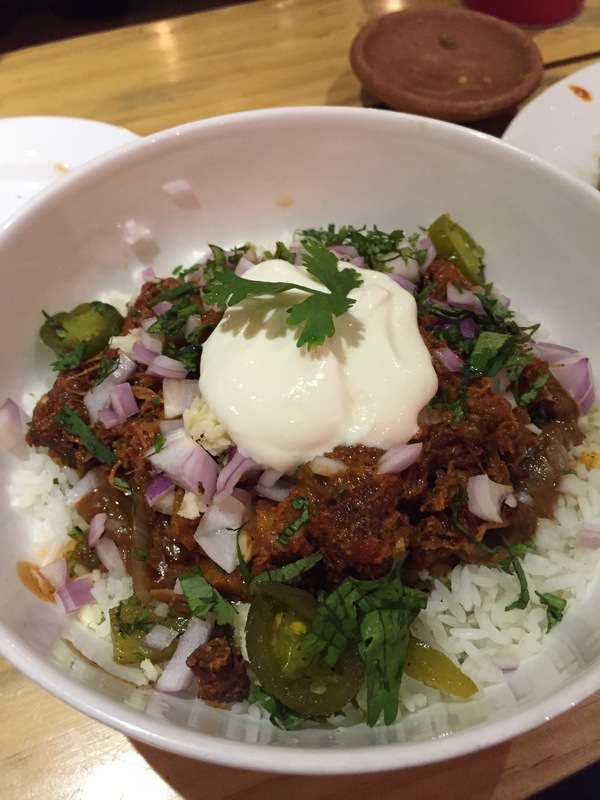 that yummy braised pork burrito bowl. bangalore, india. july 2015.
so as you can tell, we had a pretty spectacular time at chinita. after all the hype going in to it, we both had pretty lofty expectations, and yet we were still blown away by the food, the service, and the setting. and did i mention the prices? it’s very reasonable, especially when you look at the portion sizes. we really needed a third person for those nachos, and the mains are enough to last two meals, easy. empty plates because we stuffed ourselves silly. bangalore, india. july 2015.
location: no 218, double road, near bda complex, indiranagar. bangalore, 560038.
serves drinks: no. but you should try the horchata at least once. wifi available? i don’t think so, but i didn’t check. what we ordered: horchata [drinks]. grilled chicken nachos; grilled corn [starters]. braised pork burrito bowl; grilled chicken taco + tostada [mains]. our bill: somewhere in the neighbourhood of rs 1,400, split evenly between the two of us. my zomato rating: 5 out of 5, obviously // average rating is 4.8.
fun facts: “chinita” means “asian girl”, an homage to the asian woman who appears to be the owner / manager / head chef. 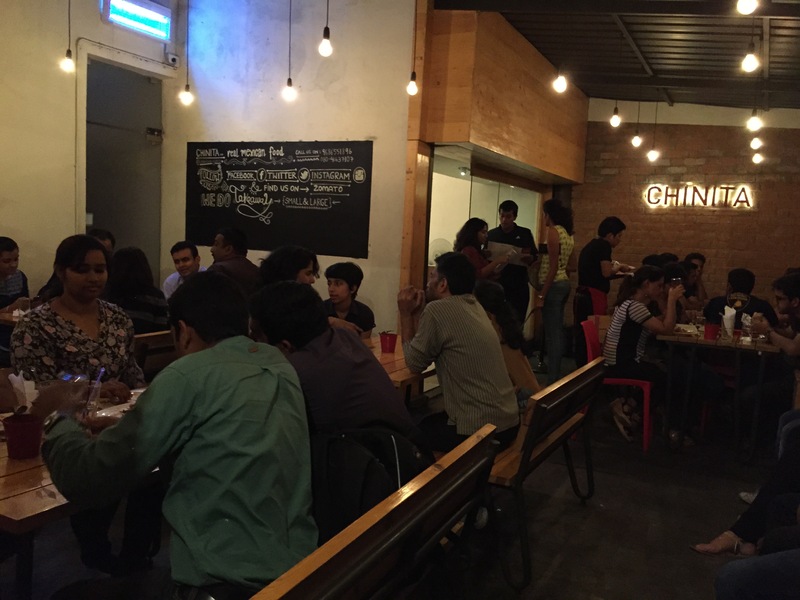 to keep in mind: the space is small – 6 tables and 2 seats at the bar counter – and gets super crowded, so plan on waiting a while for a table if you arrive after 8.30pm. and i wouldn’t suggest going in a group larger than 4-6, because then your wait will become even longer. they take dinner bookings for 7.30 and 7.45pm but nothing after that, so it’s first-come-first-serve. will i go back? i think it’s safe to say that i will probably be taking up residence in there. 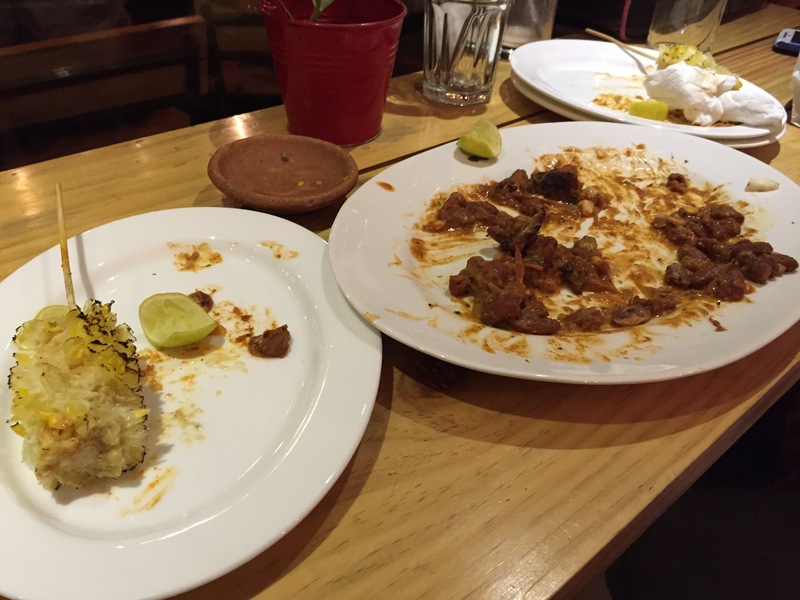 I love Mexican food too, and India is definitely not the easiest place to find good Mexican food. 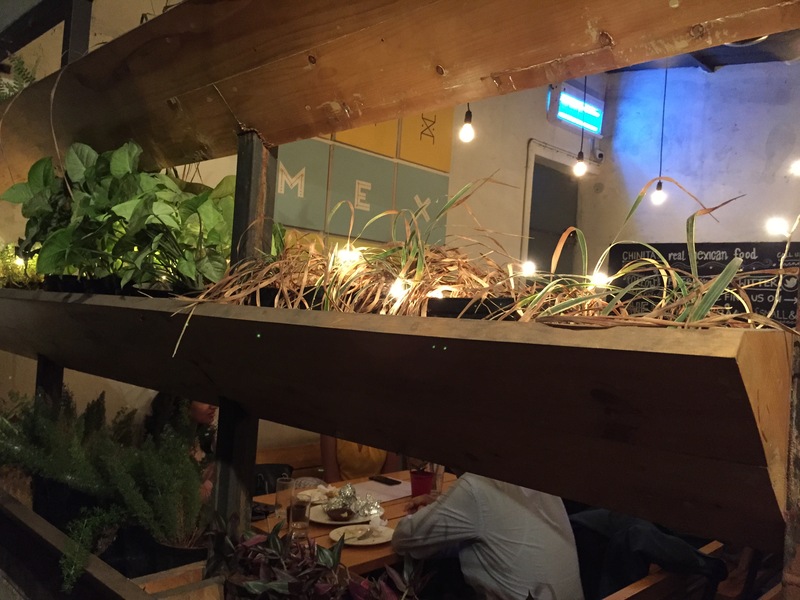 This sounds awesome – it’s on my list of must try places for next year when I visit Bangalore!